21st April has kind of become the big day for marketers and SEO caretakers as Google’s mobile friendly ranking algorithm is set to launch. Google answered a lot of questions in a Google+ hangout on the topic of this new ranking algorithm. The algorithm will start rolling out on April 21st and will take a few days to a week to completely get implemented globally. The only situation of your business or your website or your app is either Yes or no, meaning that you are either mobile friendly wholly or not. There are no degrees and score. The fastest way to see if your web pages are mobile friendly is to see if you have the mobile friendly label in the live mobile search results now. 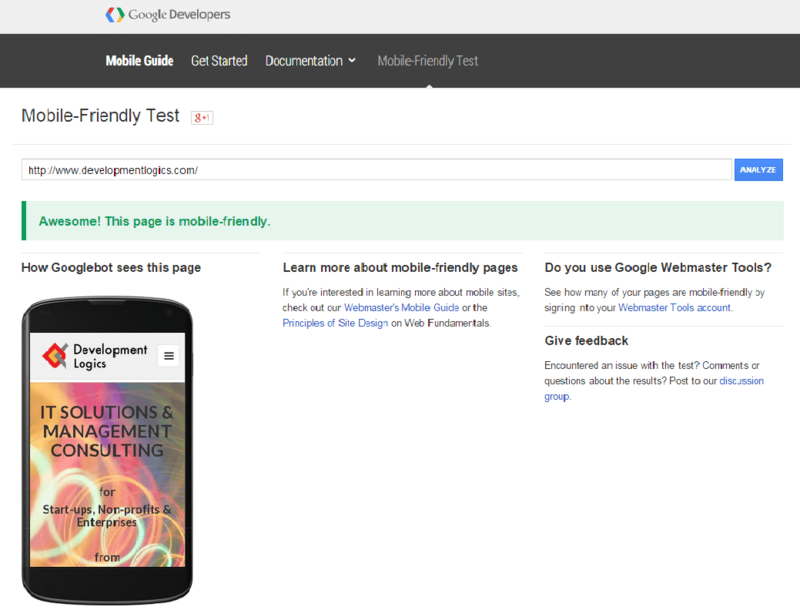 How do you know if your web pages are mobile-friendly or not? There are a few ways, but Google said the easiest way is to see if your current pages have the mobile-friendly label in the live mobile search results now. If so, the mobile-friendly testing tool should also confirm this. Keep in mind, the mobile usability reports in Webmaster Tools can be delayed by crawl time and general webmaster tools reporting delays. The mobile-friendly algorithm is an on or off algorithm, on a page-by-page basis, but it is not about how mobile-friendly your pages are, it is simply are you mobile-friendly or not. Will the update make any difference? Will the update affect all pages on a site? Google has announced that this update will take place in ‘real-time’, meaning that if changes are made to make websites more mobile-friendly, as soon as the changes have been indexed by Google the benefits will be realised. Google has also said that this algorithm update will impact sites on a page-by-page basis, meaning that only those pages that are not mobile-friendly will be impacted, rather than the wider domain. What can you do to check if your site is affected? Mobile Usability within Google Webmaster Tools, Google now details webpages on your website with errors for mobile users, going into detail, e.g. when buttons are too close to one another. 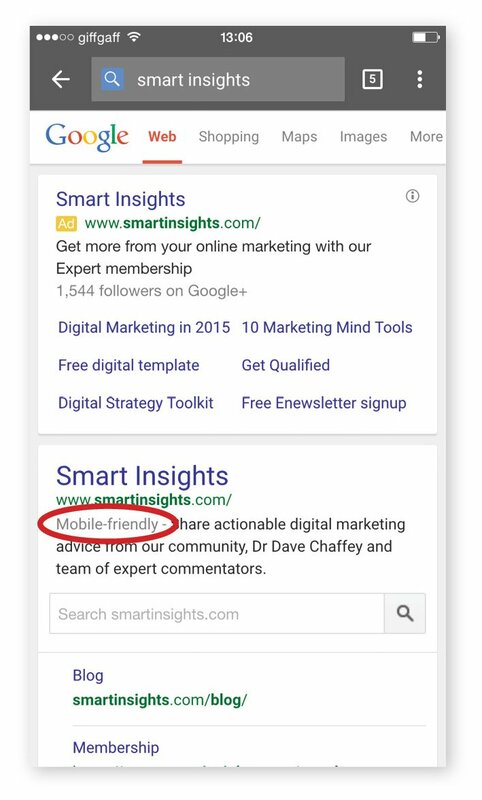 Mobile-friendly snippet – Google start to signpost mobile-friendly websites in mobile lists next to the meta description. If your site is missing these ‘Mobile-Friendly’ labels you are likely to have a problem come the 21st of April.